Zircon is a gemstone that is a favorite of gemologists and geologists, but hardly known at all by the general public, who are likely to confuse it with synthetic cubic zirconium, a cheap diamond simulant. Natural zircon is actually one of the more interesting gemstones in the world, with a number of fascinating properties. 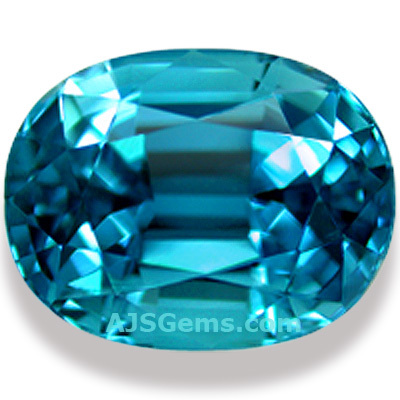 As a gemstone, zircon is noted for its high refractive index and excellent fire. 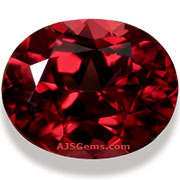 In fact zircon has a higher refractive index than sapphire, ruby, spinel or tanzanite. Zircon also has impressive fire, with a dispersion rating nearly as high as diamond. 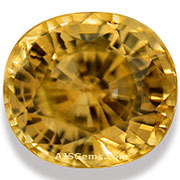 Found in a range of colors, including blue, red/orange, honey and white, top grade zircon makes very attractive jewelry. In addition to its obvious beauty, zircon has some unusual properties. For example, it has very pronounced birefringence or double refractivity, where the difference between the two refractive indices is unusually high. This can be observed with the naked eye when you look down through the table of a cut zircon: you will observe facet doubling that makes the facet edges looked blurred. Zircon is also a remarkably dense mineral, with a density about 50% higher than diamond. Only a few minerals such as hematite and cassiterite have a higher density. From the gemological perspective, zircon is very unusual because it exhbits a large range of values for basic properties such as refractive index, density and hardness. For example, the gemological references list zircon as having a refractive index of 1.810 to 2.024, a density of 3.93 to 4.73 and a hardness of 6.5 to 7.5. The reason for the large variations is that some zircons are classified as high zircons and others as low zircons. The high zircons have values at the top of range while the low zircons are at the bottom. The low zircons form as the result of a process associated with the presence of uranium and thorium in the material. The natural radioactivity disrupts the crystal structure and produces changes in color and density. These changes take place over a long period of geologic time through a process known as metamictization. Low zircons are usually green in color and are amorphous rather than crystalline in structure. Geologists are particularly interested in zircon because it is the oldest mineral on earth, with specimens from Australia dated at 4.4 billion years old. Considering that the earth formed 4.56 billion years ago, the oldest zircons in fact represent the earliest record of the earliest crust of the earth. Zircon was the first crystal to form in molten granite as it cooled to form rock. The ancient granitic rock has long eroded away, the only record that is left is tiny grains of zircon. What this means is that zircon is in fact the oldest thing on earth; the oldest samples are even older than the moon, which formed about 4 billion years ago. Zircon is a stone that deserves a place in every gem collection.